Safe vehicle never worried if our family was going to be hurt if we had an accident. Built for rough roads, has weird quirks. We purchased our '04 Nissan xterra used, with less than 60k miles on it. Couldn't pass up the great deal. Since it is built to withstand off-road driving, it handles bumps, potholes, etc. with no problem. It is a very smooth ride, and I am comfortable in it for hours on road trips. It does not have the best fuel efficiency. Our xterra seems to have defective lock mechanisms- they will immediately lock after we open a door, sometimes before we can even get the door open. Sometimes the car refuses to start unless it is gone through its weird cycle of locking and unlocking. It runs with a v6 supercharged battery and can accelerate very quickly. My car has run well for the last 6 years since I bought it with 80, 000 miles. It has required small amounts of work done to it but for the most part it has run well. My biggest complaint about the car is how it is on gas mileage. I believe I get about 16 miles to the gallon. Living in Florida where everything is a pretty far drive, it is difficult to pay so much for gas. 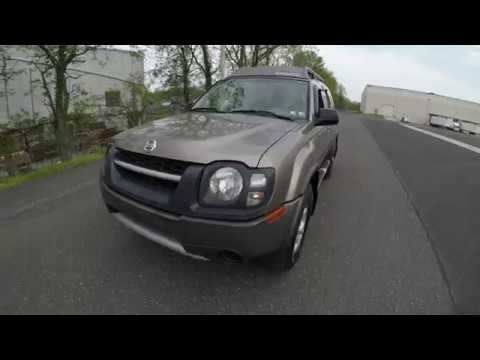 The xterra has a great 4 wheel drive for off-roading and a v6 engine. For anyone looking for a car that they want to take off-roading, camping, or loading a lot of junk in, I recommend the xterra. ON CERTAIN SPORT UTILITY VEHICLES, THE ACCESSORY TOW HITCH ATTACHMENT BOLTS MAY NOT HAVE BEEN TIGHTENED TO THE PROPER SPECIFICATION. THIS COULD CAUSE THE TOW HITCH TO LOOSEN OR SEPARATE FROM THE VEHICLE WHICH COULD RESULT IN A CRASH WITHOUT WARNING. DEALERS WILL TIGHTEN THE TOW HITCH. THE RECALL BEGAN ON JANUARY 3, 2005. OWNERS SHOULD CONTACT NISSAN AT 1-800-647-7261.